Hello and welcome to the Sunday Stars linky for this week (25th October). This is a fantastic place to share a post that you are particularly proud of. It is run by a group of us, taking it in turns each week to co-host and this week it is myself and Jess. Jess and I are both really looking forward to reading your star posts! Thank you to everyone who joined in last week with our lovely hosts Heledd and Amy. Their favourite posts were “Sticks and Stones May Break My Bones… But Taylor Swift Could Save Us All” by Must Be The Mummy and “Why Writing A Blog is Like Having A Child” from Diary of An Imperfect Mum. Tweet your posts to either of us ( @karenjwhitlock and @soot1978 ) and @SundaysStars using the hashtag #sundaystars and we will RT. 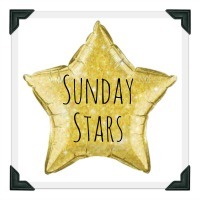 Next week Sunday Stars will be hosted by Julia and Katie so do check them out to find out who Jess and I choose for our Star Posts from this week.